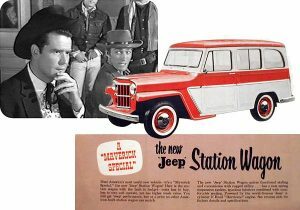 James D. Mooney, president and board chairman of Willys-Overland Motors, announces the “introduction of a new jeep station wagon” describing it as a “people’s car.” Indeed, the new 2WD, all-steel station wagon boasted easy maintenance, safety and a seven-passenger capacity. Powered by the Go-Devil flathead, four cylinder engine, the 463 model was designed to compete with the “rear” wood wagons manufactured by Detroit’s Big Three. In 1949 the Station Wagon pushes ahead, adding 4-wheel drive and claiming “The new 4-Wheel-Drive Willys Station wagon has the powerful all-wheel traction to get you through deep mud, sand and snow – to keep you rolling on slippery ice. It will climb murderous grades – let you head cross-country with no road at all.” (E.W. Schwarz Motors Ad, Nov. 6, 1949 – Milwaukee Sentinel). 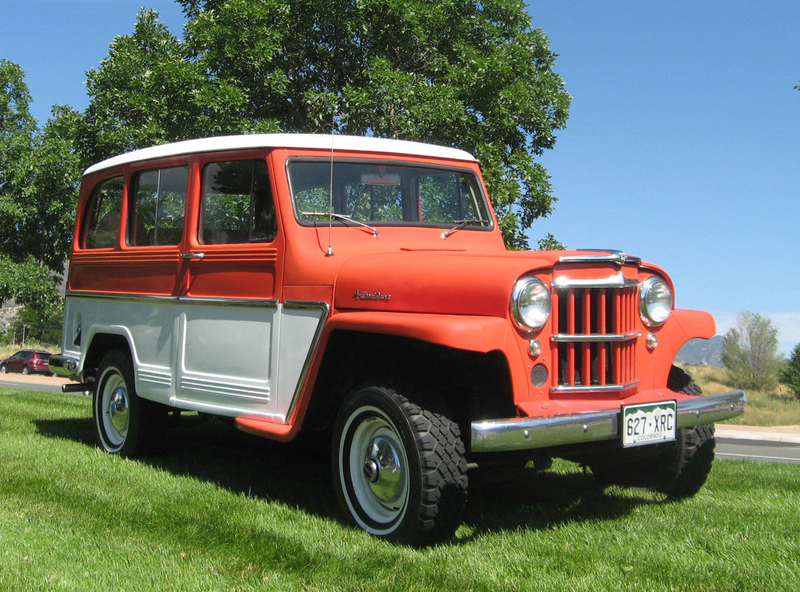 The new addition of 4WD to the Willys Station Wagon was the civilian result of the government’s request in the previous year to build a prototype four-wheel drive wagon. At the time, the implications of the evolution of the station wagon to include 4WD were little understood; however, this innovation would lead to the creation of an important and emerging market segment, and arguably earned Willys-Overland the credit for the creation of the SUV. 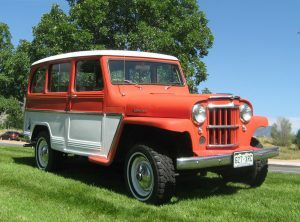 While in production (388,000 produced between 1946 and 1965), the Willys Station Wagon employed many different engines and was also available in several commercial delivery formats (Sedan Delivery, Panel Delivery, Utility Delivery) but was ultimately phased out in 1965 by the Jeep Wagoneer. In 1958, the Maverick model was introduced (the name was taken from the TV Show of which Willys was a sponsor, a comedy-western created by Roy Huggins and featuring James Garner, Jack Kelly, Roger Moore, and Robert Colbert), Available with either the ancient Hurricane (née Go-Devil) F-head four-cylinder engine or Super Hurricane L-head straight-six, the Maverick Special got a (comparatively) lavish interior, with a Pompano carpet package and the gear lever relocated from the floor to the steering column. It was also bestowed with an exterior makeover: two-tone paint, swept-back side moldings, chromed bumpers and hubcaps. When it appeared as a 1958 model, the Maverick Special listed for $1,895.